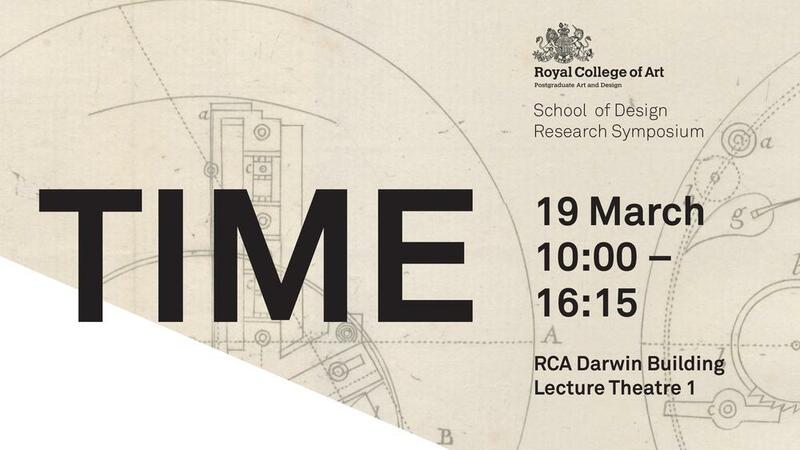 As part of the Royal College of Art School of Design’s contribution to the Research Methods Course, we have organised a symposium dedicated to Time and Design. It takes place on the 19th of March, 10:00. If you are from outside the RCA and plan to attend, please email design-research@rca.ac.uk to let us know. Entrance is from Jay Mews. Claudia Hammond is an award-winning broadcaster, writer and psychology lecturer and the presenter of All in the Mind on BBC Radio 4, as well as programmes on BBC World Service and BBC World News TV. She is the author of the book “Time Warped” in which she delves into the mysteries of time perception. In her talk she shows how malleable our experience of time is and which factors influence how we perceive time. Siân Lindley is part of the Socio-Digital Systems group at Microsoft Research, where she studies technologies in use and the practices that are built up around them. Siân presents two of her projects on using digital timelines for narrating personal histories, which yield unexpected insights into how representations of time shape our retelling of the past. Matthew Shaw’s research in the history of the French Revolution, which he developed from his PhD into a major book, sheds light on perhaps one of the boldest reforms undertaken in Revolutionary France: the redesign of time itself. For almost a decade the French calendar had not only its own months and years but also decimalised hours and minutes. John Taylor’s most ubiquitous invention has probably been used by anyone who ever switched on a kettle. However, it is his work on clocks that most captivates him. Turned inside out and controlled by a giant time-devouring mechanical creature, John’s Corpus clock required two hundred engineers, scientists and craftsmen, five years of his time, one million pounds and one Stephen Hawking for its unveiling on the wall of Corpus Christi College, Cambridge University. Peter Bennett introduces physicality in how we interact with computers through his research on Tangible Interfaces at the Bristol Interaction & Graphics Lab. A physical interface for time however proved to be problematic. Is time flexible or solid? Is time a single object or many? Is time a line, circle, spiral or even a shape at all? It is this ambiguous nature of how time can be physically represented and controlled that Peter explores in his work.